Cut the ribbon and open the doors! Walden is beyond thrilled to announce we are OFFICIALLY moving…well, moving into some new space on campus. 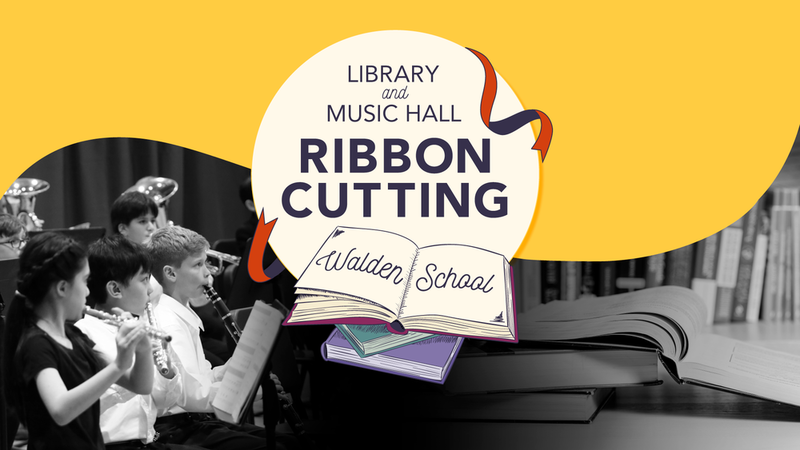 Because of many generous Walden supporters, we are opening our doors to the new Library Media Center and Music Hall! In partnership with the Chamber of St. Matthews, we are holding an official Ribbon Cutting ceremony on Saturday, March 2nd from 1:00-3:00 pm. The Ribbon Cutting will be at 1:00pm. Refreshments will be offered. We hope you can join us for this exciting, grand event!